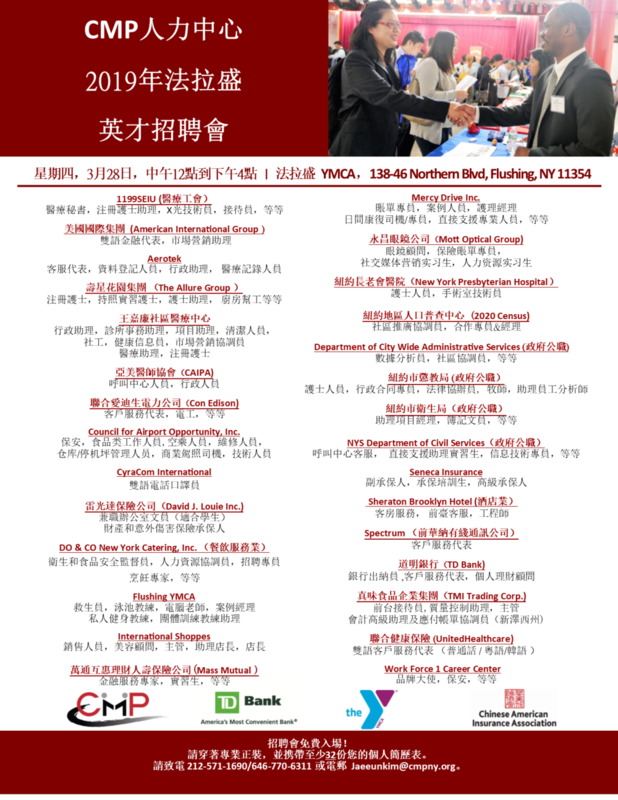 Please SAVE THE DATE for our 2019 Flushing Job Fair! Employers information will be available soon. Please check back later. 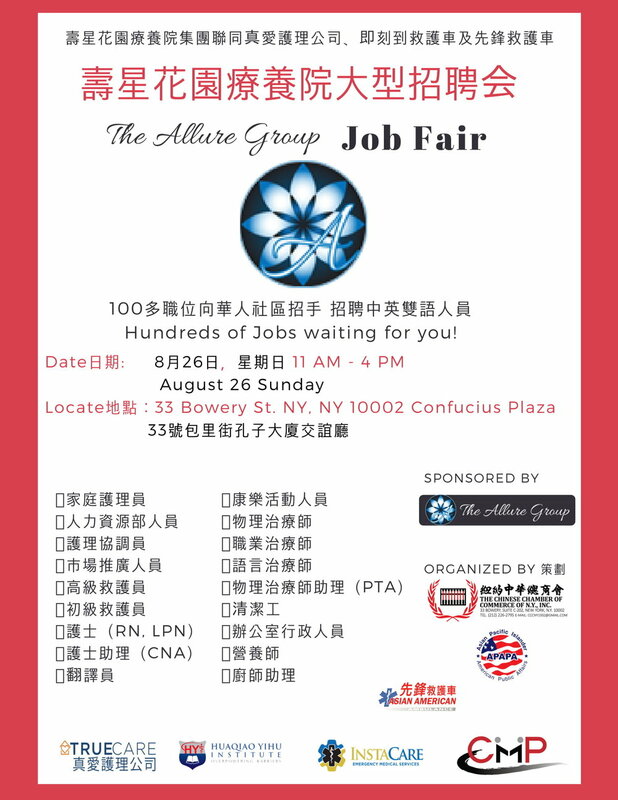 Just a kindly reminder that tomorrow, 9/20, is our Manhattan Job Fair!!! Are you ready to meet your next employer? 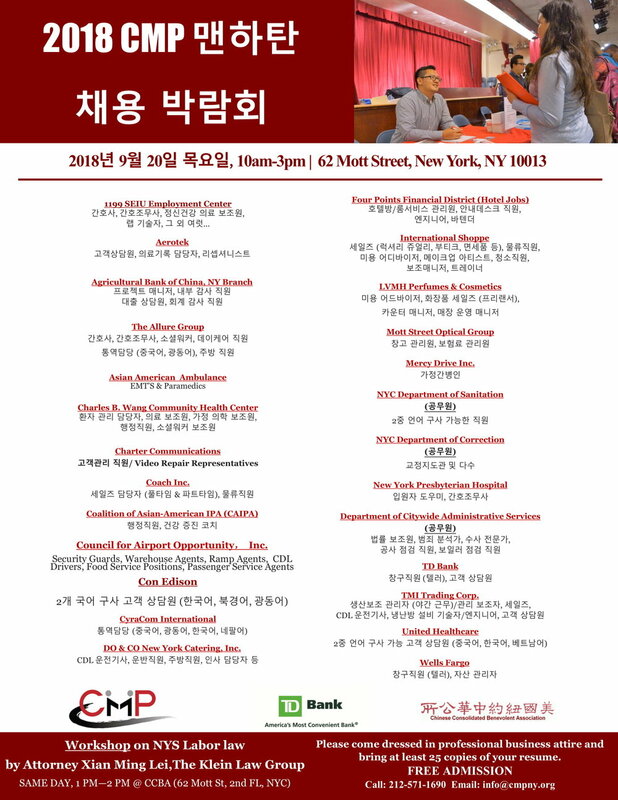 Save The Date for CMP 2018 Manhattan Job Fair! Job seekers, please save the date for our fall Manhattan Job Fair!